The term “gain staging” refers to setting the voltage at the input and output of every device along a signal chain. In other words, it’s setting the amount of “gain” that occurs at each “stage” of the signal path. In ABC gainstaging the engineer is looking to have the voltage at each point in the path coming in at a range known as “nominal operating level.” This is the level where the device functions optimally. Gain staging also entails keeping the signal as high above the noise floor of the noisiest device as possible without overloading anything. Sometimes gain staging involves purposefully overloading a device and then attenuating level afterwards. Devices are often “spec’d” or calibrated using a test tone. All of this of course refers to the purely analog realm where the laws of physics reign supreme. In digital, it’s not nearly that involved. Digital doesn’t have nominal operating levels or much of a noise floor to worry about (usually — I’ll get to that later). It only has an absolute ceiling where the signal simply peaks. This means that as long as you are not clipping anything you’re good to go. The one thing to be aware of is that channels are not the only place where something can clip. Plugins also have a ceiling, so if you hit that ceiling in the plugin, you’re still clipping. Not that digital clipping is always a bad thing, it’s just usually better avoided. People tend to track too hot. Your signal shouldn’t be anywhere near 0 dBFS (clipping). Turn your regions WAY down. When you play your source sound with the channel volume at unity/zero, you want to be just touching the yellow or completely in the green! If your DAW doesn’t have a clip-gain function, insert a utility plugin/trim plugin/gain plugin as the first plugin on your insert chain and gain the signal down there. 32-bit floating bit rate is pretty clip proof because it adds virtual room above the 0 dBFS point (relative to fixed point). That doesn’t mean that your plugin is going to run at a floating point too! Your plugin may very well be subject to fixed rate data plotting. If you’re running your signal too hot you may clip your plugin without any overs on your channel output. I generally stick with 24-bit. I’m printing down to a fixed point eventually, might as well make sure I’m not printing down to a clipped signal. Many plugins are 1 to 1 transfer when they aren’t actually set to change the signal. 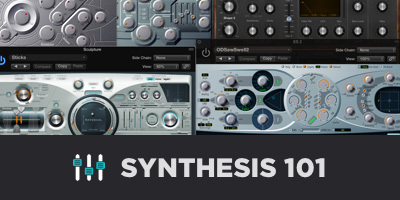 However, some plugins are designed to emulate hardware and have built in “saturation” effects. These plugins often do read input level and will alter the signal based on that. For these plugins you do have to consider how you stage the input, and also be on the lookout for self-noise. Yes, a number of plugins have built in self-noise. When these plugins are in your chain, take special note and take an extra moment to set the input and output levels accordingly. In addition to each individual source, you have to note the level of your summed mix. When you set your initial levels, make sure you have plenty of room on your master channel. If the volume is low, just turn up your speakers! At the end of the day, digital gain staging is fairly simple: don’t clip stuff. As long as you are aware of some of the subtle curveballs that can show up you’ll have no worries!